Every toothache has an effective remedy for it, and at Dental Arts of Wyandanch and Huntington Station, the goal of our 11798 dentist is to put a stop to your pain and to restore your optimal dental health. Many times, a cavity is the cause of your toothache. That can be one that has newly formed, or an existing one in which the filling has come loose or has fallen out. Our 11798 dentist prepares and places a filling to address the situation. It’s by far the simplest type of toothache to manage. It’s all handled at our office, in just a single visit. When your tooth becomes chipped or cracked, the placement of a crown (also called cap) over the tooth restores it to full size and functionality. Crowns are made at the dental lab from impressions taken at our office. Our 11798 dentist fits you with a temporary one until you return to get your permanent crown. 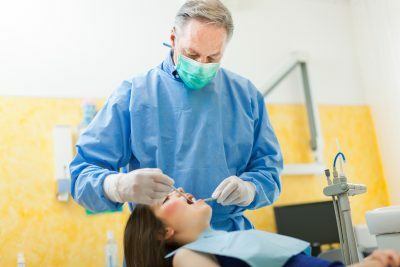 The larger danger involved with cavities, lost fillings, and chipped or cracked teeth is that they leave the pulp on the inside of your tooth open to a bacterial infection. Such toothaches are often considerably more severe than others. You might also notice sensitivity to hot and cold foods and drinks, gum tenderness, or tooth discoloration. If that occurs, you will need root canal as a remedy. Modern techniques and equipment have made this non-surgical procedure comfortable, so you need not have any undue anxiety about it. Furthermore, the success rate for root canal is an impressive 90%. When the tooth heals, you would then have a crown made for it. Don’t hesitate to reach out to us 11798 dentist when you have a toothache. Simply call us at our office and we will have you seen as quickly as we can. A toothache is an emergency, and we treat it with the urgency it deserves.